causing the skin to appear dull and lifeless. How is young skin really that different to ageing skin? Sebaceous glands no longer produce so much oil as younger skin. rate in our mid twenties as our early forties. Bone resorbtion and loss of supportive fat pads occur with age. Thus aged skin often appears more wrinkled, pale, dry, thin and transparent than it did in youth. as noticeable loss of firmness on the hands and neck. How can I look as good as I can for my age? There are a handful of trade secrets to give you that beautiful dewy skin you always craved. i.e. facelifts do not always produce the desired results as volume is not always replaced. detrimental to the skin’s physiology in the long run. 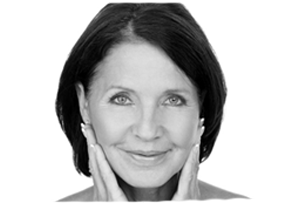 smiles, neck lifts, peri-oral wrinkles) to provide subtle and beautiful results. use on the face daily, this would be it. ability as well as its nonirritating and nonallergenic properties– look for this on the labelling.